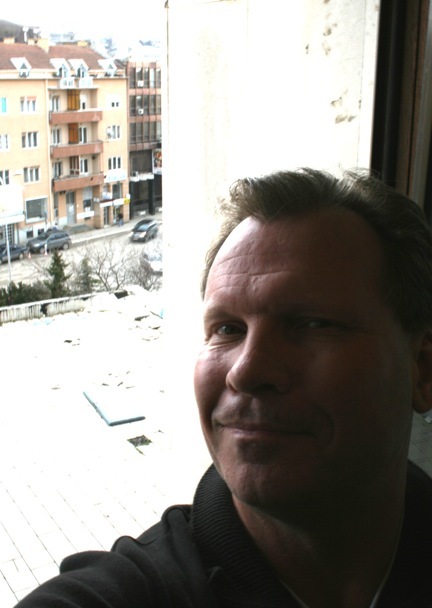 Prishtina, Kosovo: I am ending my two week teaching visit here and several images stay with me. The people I have met, the challenges and opportunities in Kosovo, my students. Thank you for this experience. Kosovars, be they Albanian, Serbian or other minority ethnic groups, are passionate about life. Many have lived it in the extreme over the past 20 years. They have endured economic chaos, war, vast uncertainty and political change. Despite these hardships, most of the people I have met have incredible character. Most here, in Kosovo’s cities or rural areas, have a desire to keep moving forward with optimism and hope. They know how to live modestly without sacrificing their identities. They define themselves by their experiences and strong family relationships. They are not afraid to take risks if they believe it will lead to greater opportunity. They are amazing survivors for all they have been through in their lives. Kosovo is the world’s newest democracy. Just two years old, it is still shaky on its feet. It needs international assistance and expertise if it is to stabilize it’s judicial, economic and political system. Eventually, Kosovo will have to learn how to stand on it’s own and take care of it’s citizens. That’s not the case now, but it could be over the next 10 years. Unemployment stands at 45 percent. Thirty-seven percent of Kosovo’s 1.8 million residents live in poverty or extreme poverty. According to reports from the United Nations Development Programme (UNDP) and other international organisations, about 37 percent of Kosovo’s population live in poverty — below the line of 1.42 euros a day — and over 17 percent live in extreme poverty — below the line of 93 euro cents a day. Gross domestic product (GDP) growth fell from 5.4 percent in 2008 to 3.9 last year, according to a 2009 projection from the International Monetary Fund (IMF). The same report reveals that GDP is still low. The average resident here earned about $2,375 in 2009 or about $198 a month. The health care system is on life support. There exists a parallel health care system. If you can afford to pay more, you can get better health care. If you can’t, you must take your chances with nationalized health care where the quality and inconsistency of treatment terrify many Kosovar citizens. It may explain why some Kosovar residents hesitate to even seek preventative health care, of which there is very little to begin with. Kosovo’s judicial system is badly backlogged with property rights, corruption and criminal cases that stretch back to the 1999 war. A 2009 report by the European Union Rule of Law Mission in Kosovo (EULEX) made more than 2,500 assessments of Kosovo’s judicial system. Among other findings, the EULEX report found shortcomings regarding the security of Kosovo judges. “There is hardly any system in place to protect Kosovo judges in court, outside the court and after work hours,” the report said, adding that there were no institutionalized mechanisms in place to follow up on incidents in which prosecutors have been exposed to outside pressure. Kosovo’s infrastructure, while slowly improving, remains tattered and unreliable. The roads are in need of repair or improvement. 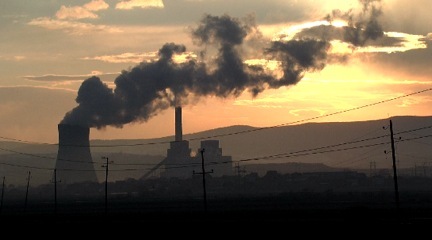 The Kosovo Electrical Company’s (KEK) generation grid is old, a major air polluter and still subject to frequent power outages. Past corruption and failed attempts to draw new investments to upgrade Kosovo’s electrical system mean it could be a minimum of five to ten years before a new power plant comes on line. To compound the problem, KEK continues to have difficulties getting customers to pay for the power they use. A few years ago, Kosovo’s Deputy Minister noted that KEK produced up to 22 million Euros of energy, and billed only 10 million euros. However, out of the 22 million euros spent, only 7 million euros had been collected from consumers. This is amazing to me, because the KEK plant #1 sits on top of one of the world’s largest supplies of lignite (brown coal) which it burns with little in the way of pollution control equipment. In short, the most significant findings like a steadily increasing demand for water combined with a low and insufficient water supply, the lack of waste water treatment and its medium-term consequences to the ground water, uncertain developments in the administration and supervision of the regional water companies, the unsettled distribution of water competencies, an old and decrepit water infrastructure and an alarming payment behaviour suggest a precarious situation in Kosovo in 2009 and a more serious threat to sufficient water supply in the years to come. Another infrastructure related issue: Unregulated construction projects. Kosovo experienced an earthquake that registered 5.2 on the Richter scale this week. The quake’s epicenter was 40 miles northwest of Prishtina where many residents felt the ground shake. 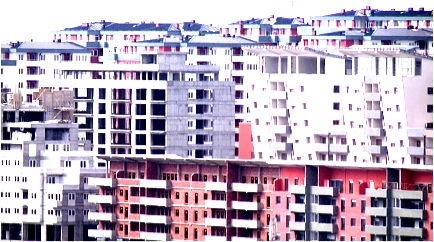 BalkanInsight.com reported today that the Pristina municipality estimates 70 per cent of the new apartment blocks built since 1999 do not have planning permission. Following the latest quake here, concerns are being raised that a larger earthquake could devastate the city because of poor construction standards and lack of inspections. Ylber Vokshi, an independent architect in Prishtina, told BalkanInsight that people should “pray that no stronger earthquakes hit Kosovo” as around “99 per cent of new buildings” do not meet the necessary standards set by planning authorities to mitigate the effects of earthquakes. Kosovo’s opportunities lie in its young population. It’s a potential economic powerhouse that could drive prosperity in Kosovo. Seventy percent of its population is under the age of 35. Kosovo has the youngest population in Europe. Due to the high international presence here since 1999, English has become the third official language after Albanian and Serbian. Accordingly, the number of English-speaking Kosovars is far above the regional average. The result is the most multilingual society in the Balkans. The school-system and higher education systems here still lag behind most of Europe, but Kosovo’s young workforce should be attractive to other European nations where the native birthrate is falling and foreign workers will be needed to maintain productivity. Robert Wright, CEO of Raiffeisen Bank Kosovo, the country’s second largest bank was quoted this month in an article appearing in The Banker. He said Kosovo’s business sector has withstood the financial crises facing many other European nations because of its small business profile. “Industry is micro,” he explained, “so you do not have dependency on a handful of large corporates, and the risk is diversified across thousands of small micro-businesses. Gani Gerguri, deputy governor of the Central Bank of the Republic of Kosovo (CBK) said he was happy with Kosovo’s banking sector performance: “Despite the crisis in other countries, we had a 21 percent increase in deposits in 2009.” Overall Kosovo’s bank lending grew in 2009, but at 10 percent, down from 37 percent in 2008. 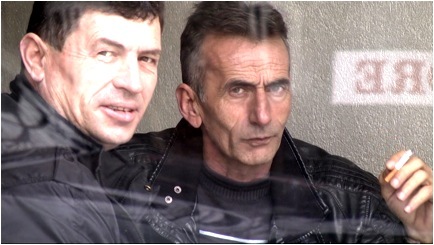 “Here in Kosovo, we did not have a crisis,” said Gerguri. The students I have taught at the Kosovo Institute of Journalism and Communication (KIJAC) have been stimulating and interesting to work with. They have taught me more about the culture and current events of this new democracy than I could have imagined. As they have learned how to write in the English language and create news content for the Web, the story topics they have written about have been interesting and diverse. This entry was posted in Banking, broadcasting, Business, Economy, education, Health care, Investing, Journalism, Kosovo, nebraska, new media, newspapers, Politics, The United States, Uncategorized, University of Nebraska. Bookmark the permalink.